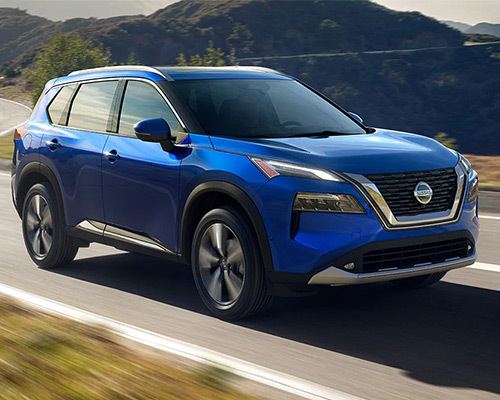 If you are searching for a compact crossover that provides tremendous value for a range of features already included right off the start, Nissan presents drivers in Youngstown OH the ideal choice. 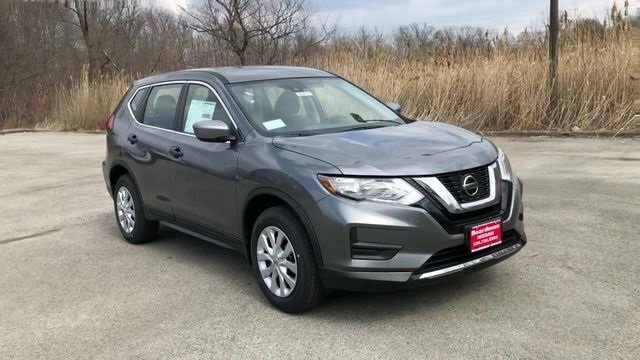 You can handle your routine schedule with ease and confidently discover a whole new world of adventures through the reliable capability of the latest Rogue, which tops competitors in spaciousness, for purchase or lease at Boardman Nissan. You will want to plan on stopping by our showroom floor for a hands-on assessment without question after you learn about how much it will improve your usual drives and weekend outings. When one of your primary automotive preferences is making a great first impression to remember, Rogue puts you in the spotlight. A V-Motion grille creating undeniable road presence, boomerang sleekness integrated into halogen headlights, and flawlessly fusing flowing lines with sharp edges all come together to form an aggressive look. You will have no problems impressing others with noticeable color options, such as Monarch Orange Metallic or Midnight Pine Metallic, and wraparound LED taillights rounding out this entrancing exterior. An eye for detail in the cabin makes owing or leasing a Nissan Rogue from Boardman Nissan even more appealing. As a D-shaped steering wheel, offered Piano Black trim intermixing metallic accents, and an obtainable double-stitched shift knob adorned in leather add sporty touches throughout, comfort comes in ample supply with front headroom highest in the class, optional zero gravity seats based on astronauts, and an available two-row Power Panoramic Moonroof. Considering these inclusions are just a taste of what to expect in terms of distinct styling and comfortable drives across Youngstown, Rogue should undeniably land high in your choices. Reducing how often you must fill up at the pump for your excursions and maximizing motor power in the process occurs behind the wheel of the ultra-aerodynamic Rogue. In addition to utilizing a Continuously Variable Valve Timing Control System (CVTCS) and producing 170 horsepower (hp), the 2.5-liter (L) engine yields 33 miles per gallon (mpg) on highways, which tops multiple other popular makes and rises on SV and SL hybrids. Moreover, you have the ability to tackle a wide range of road conditions and maintain smooth riding when you opt for Intelligent All-Wheel Drive. Thanks to Rogue S containing an assortment of standard conveniences, such as four hooks for tying down cargo, Remote Keyless Entry, and Rear Door Alert, managing your daily schedule becomes a breeze. Additionally, working different functions on your smartphone while out and about is safer through Apple CarPlay or Android Auto, and the Special Edition package lets you upgrade a variety of aspects. Featuring an eight-way power driver's seat with lumbar support, Dual Zone Automatic Temperature Control, and Remote Engine Start System integrating Intelligent Climate Control, the customizable coziness of Rogue SV ensures you enjoy driving wherever you chose. Also, preserving your excitement and good mood at the beginning of trips is aided by roof rails and a Motion Activated Liftgate. Rogue SL has pulled out the stops to offer you an alluring outside and refinement on the inside. Quick Comfort heated seats adorned in genuine leather with optional quilted inserts and a heated leather-covered steering wheel prevent you from remaining cold, ProPILOT Assist eases driving on the highway, and19-inch (in.) aluminum-alloy wheels give the illusion of constant motion. Load up everything you want to bring on your next outing faster than ever with substantial space for packing items in the Nissan Rogues for purchase or lease at Boardman Nissan. Behind the second row is 39.3 cubic-feet (cu.-ft.) of storing room, highest in its category, and you only need one hand free to configure the class-restricted Divide-n-Hide Cargo System 18 various ways. Hauling a wide array of items and several passengers is no problem when you have this much flexibility regarding storage. 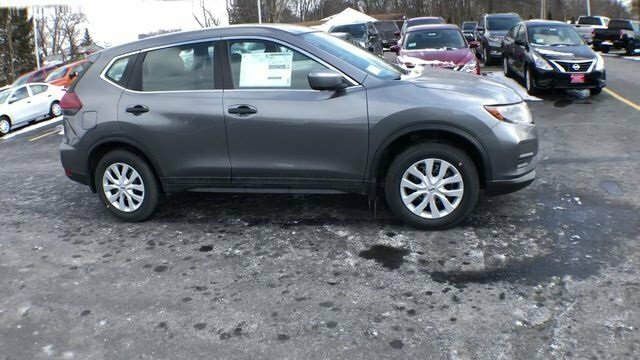 In conjunction with making your rides throughout Youngstown OH enjoyable on account of a roomy inside and adaptable handling, Rogue contains the technological connectivity you require. Most notably, the center console conveniently houses a large seven-inch touch-screen display in color that connects to your smartphone for accessing apps, streaming music, text messaging hands-free, calling via Bluetooth, and more. The freedom to go on adventures whenever you like and still remain in touch is merely one of the countless Nissan Rogue ownership advantages. Drivers today are constantly going from one place to the next and meeting people to keep pace with their full schedule. 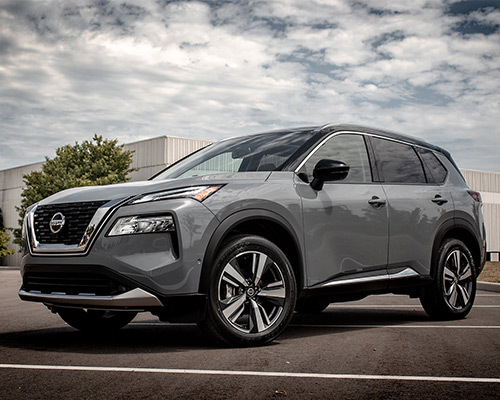 Utilizing available Nissan Door to Door Navigation, Rogue embraces these lifestyles centered on moving fast and quicker commutes. The innovative system facilitates arriving at locations sooner by showing you every turn to follow, current traffic reports, and buildings along the route in 3D graphics. Automobiles suddenly emerge out of thin air, some parking lots are difficult to maneuver in, and random objects could sit where you cannot see them. 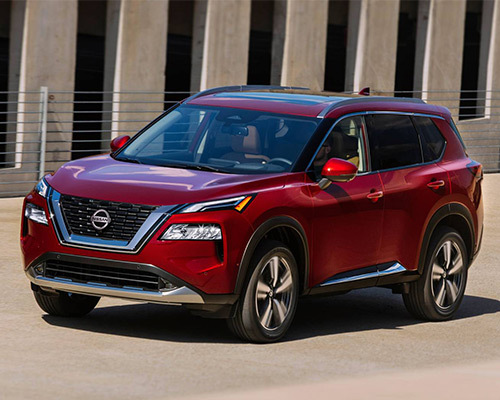 Nissan Rogue’s standard and optional safety features, including the ones listed below, help you remain attentive in the driver’s seat and widen your field of vision. Nissans considers owners and lessees of the brand-new Rogue feeling protected as they travel on Youngstown streets a serious matter, evidenced by the above proactive measures. In backing all of the details outlined here for you with Rogue winning the Consumer Guide Automotive award for five consecutive years, we look forward to meeting you in person and sharing further insights on the variant you are most interested in owning.